Introduces new super fast webchat agents’ panel (beta), amazing live chat themes, improved voice calls, proactive chats & advanced reports for live chats and help desk tickets. ClickDesk, a hosted combo product of live chat, help desk, voice chat & social toolbar for online businesses, today announced the launch of its new version of the customer engagement live support tool. The new version offers several enhancements including a new online dashboard for the admin, agents’ online webchat panel to answer live chats & tickets, advanced reports section with live chat & ticket analytics, multiple new live chat themes, chat animations and improved 3rd party live chat integrations. Launched in June 2011, ClickDesk got rave reviews from major start-up blogs, tech blogs and customers alike. 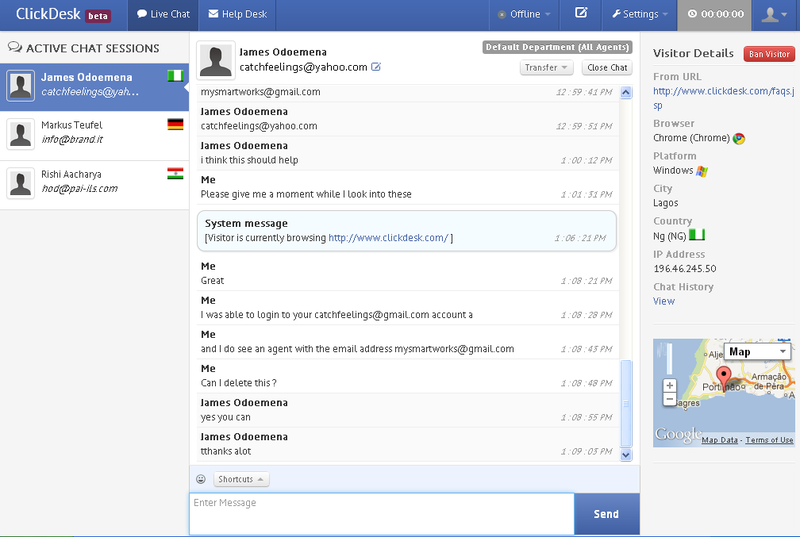 ClickDesk helps several thousand businesses with live chat and help desk needs. “Since the public launch of our unified customer engagement service, we have been closely monitoring the feedback and working on to enhance the product. This is a major release for us and we tried to make navigation through our dashboard seamless,” says Manohar Chapalamadugu, CEO of ClickDesk. “The advanced reports give more insights about the live chats, performance of the agents and customer engagement & satisfaction levels. The new eye catchers, chat animations and live chat themes help get quick web visitor attention while browsing the website. The webchat agents’ panel is in public beta and is being loved by the early adopters for the ease of answering live chats & tickets from any device online”, he added. Agents now need not be worried about installing IM clients on multiple devices or making sure that they are properly logged out of all devices every time they step out. The new web chat panel also features advanced visitor information, chat history, integration details fetched from 3rd party services and one-click buttons to ban a visitor, close a chat, use shortcuts and transfer chats to other available online agents. The live chat widget interface also includes a first-of-its kind social toolbar, enabling users to Tweet about a brand or like a Facebook page right from the chat window. 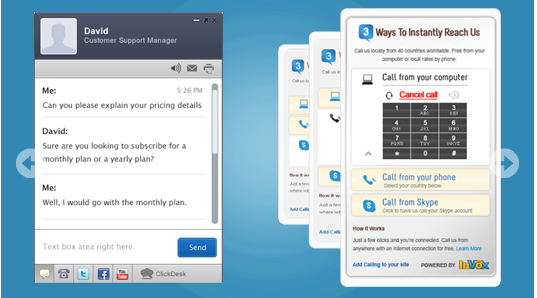 ClickDesk offers a free forever plan, while paid plans start at $9.99. ClickDesk has special discounts on 1 year and 2 years pricing across all paid plans. To learn more about the product or to signup, please visit http://www.clickdesk.com. ClickDesk is a web-based multi-channel customer engagement application offering Live chat, voice chat, social media toolbar and help desk. Over 70,000 startups and small businesses use ClickDesk everyday to convert their visitors to happy customers. ClickDesk has offices in Sunnyvale and Hyderabad.